Title: 'Westmorlandiae Comitatus qui olim spectauit ad Brigantas'. 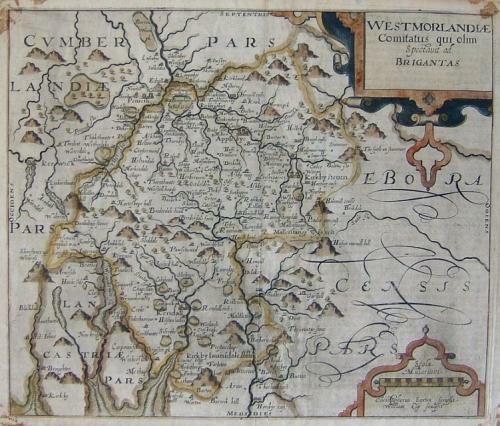 An attractive hand coloured map of Westmoreland based on Saxton's original survey. In very good condition: age toned and some tape marks at each corner.. the marks do not intrude onto the picture itself except a couple of small marks in the top left and top right corners that can be seen in the image.